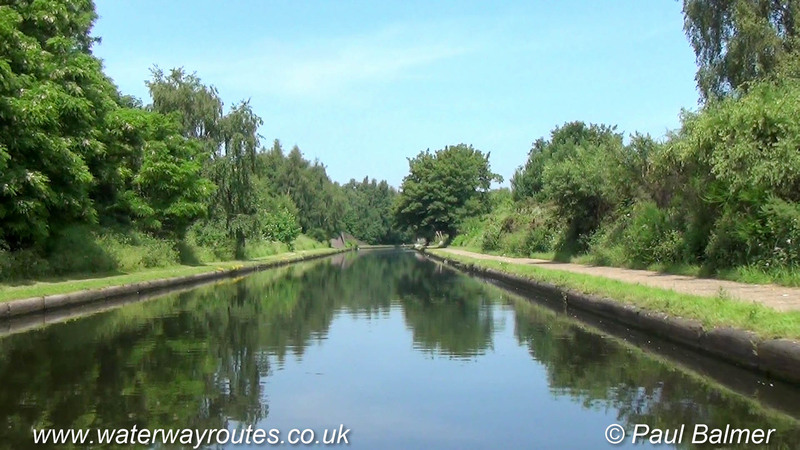 Wide and Straight Birmingham Canal Navigations (BCN) Main Line. Improvements to the Birmingham Canal Navigations created a wide straight main line in places to replace the original curving route. The new channel is wide, deep and almost straight with towpaths along both sides so boaters did not have to slow down and sort out their tow ropes when meeting a boat coming the other way. This section cuts off the Cape Loop which once ran off to the left of this photo, between Winson Green Junction (behind the camera) and Cape Junction (at the bend in the distance).